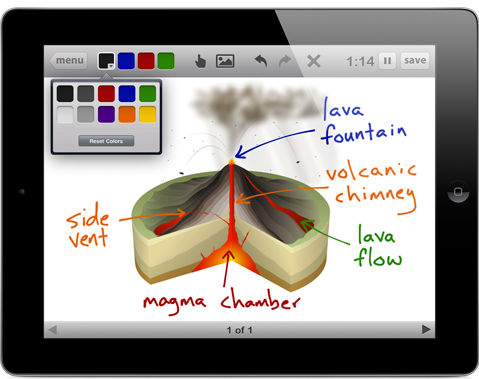 Educreations is a new free app for the iPad that I first heard about from the blog, Hack Education. This is a great app for creating a screen cast on a whiteboard. This whiteboard allows users to draw in different colors, write/draw over photos, and resize images as well. Once done a person can share their recordings on their favorite social networking sites. 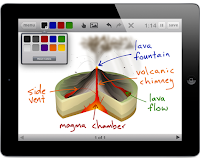 I highly recommend checking out Educreations by clicking here!! Does not allow downloading backups of your own videos. Complete lack of control of videos and inability to edit previous content.